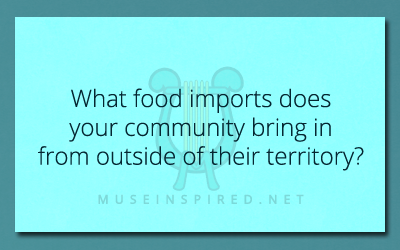 Cultivating Cultures – What food imports does your culture bring in from outside of their territory? Cultivating Cultures - What are the unspoken rules of friendship in your culture? Cultivating Cultures - Are there titles for royalty or social class in your country? Cultivating Cultures - What is the most famous man-made landmark in the area?